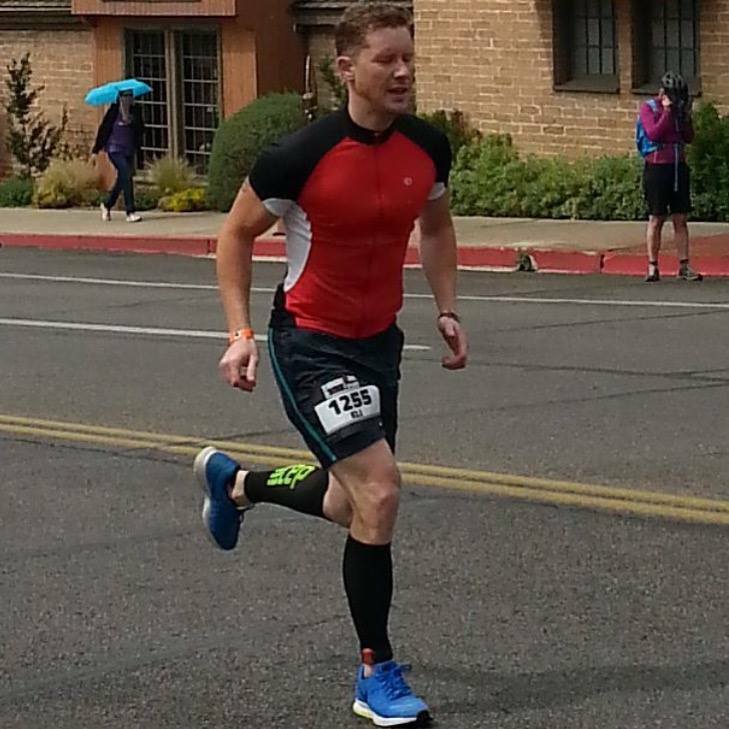 The St. George half Ironman is somehow only one month away, which means that you people are about to commit your annual felony of failing to stop me from doing this stupid thing. The only reason I can think of for why I sign up for this every year is that I'm a creature of habit with debilitating FOMO so I refuse to give up on something that causes me a massive amount of pain on an annual basis. So I sign up for the half Ironman and keep watching Fuller House and repeatedly befriend people who use essential oils. I convince myself in the midst of a post-Christmas sugar coma every December 26 that doing that May race in the harsh desert climate for the better part of a full Saturday is an exceptionally good idea that will give me not insignificant opportunities for humble bragging for months to come. Then January hits and I'm like "OH HEY-O NO" because getting into a swimming pool is voluntary self-waterboarding and no one should do it. But I always seem to forget that. For real. I forget that no one has ever enjoyed swimming in any kind of liquid since the beginning of life in the universe. I took science in high school. I know our history. First we were water snakes. Then we turned into dinosaur alligators. Then we climbed out of the water to be swamp people. Then there were tons of wars and diseases. And now we follow Chloe Kardashian on Instagram so she can be a billionaire. The point is, we spent millions of years in a lake trying to figure out how to evolve so we wouldn't have to be in a lake anymore. It's basically a hate crime against our lizard ancestors when we disrespect them by voluntarily spending our time in swimming pools when we could instead be wearing cashmere and sipping wine in a penthouse. I forget that. Every. Freaking. Year. I forget it because I literally don't so much as take a shower from the time I climb out of the water at the May race until January of the next year when I realize I've paid an exorbitant fee to do the stupid thing again so I better start training because if I drown Bob and Cathie will be right since they predict that result every single year and I don't want them to hold that over me while I'm already burning in hell. You guys think I'm joking when I say I completely stop swimming for the rest of the year as soon as the race is over. I'm not joking. 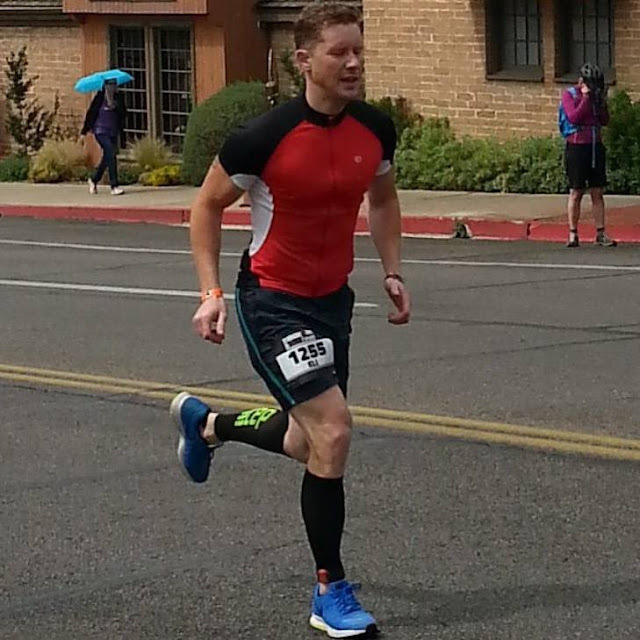 Every single time I do a triathlon, I come out of the water with a giant grin on my face. My family always thinks it's because I'm having fun. It's not. I swear on the Queen of Colors that I come out of the water grinning because I'm thinking about how I don't ever have to swim again since I'm not going to sign up to do that stupid race another time. Then this winter happened and it snow-pocalypsed every minute of every day and I know that we're supposed to be "grateful for the moisture" #mormonprayer but after a while it started getting reallll old, especially since I never wanted to go outside to run or bike and we've already covered how I feel about swimming. The point is, training has been rough, not helped by the fact that I make cookies once a week #yearofhealth. Meanwhile, Skylar has been doing one of his, "I'm not going to eat carbs or dairy or sugar or fat or fiber or food anymore" diets so he can "get abs." I've told him repeatedly that I don't know who he is torturing himself for. If he's doing it for me, he can stop because I truly don't care whether he has abs. If he's doing it for someone else then I very much care whether he has abs, but not in a supportive way. He keeps saying he's doing it for himself in a very I-don't-dress-for-no-man feminist tone. Last week he announced that he's lost five pounds, which is good news for most people, but Skylar only weighs like 94 pounds after a large meal (which I don't think he's ever experienced) so I'm not sure what he's trying to accomplish. The only thing I've learned about the gay agenda since coming out is that gay skinny is very different than straight skinny and I'm not sure I want to spend the rest of my life in this impossible situation. POINT FOR CHOOSING TO BE STRAIGHT. Score, 100-3. Also, every time I talk to Skylar about how the half Ironman is coming up he tells me that he's "half impressed" or "half proud" of me for doing it, and this is getting less funny every day. Lol. I'm half proud of you as well. Your story feels oddly similar to my "training" since the last race. See you there! You'll be passing me on the run. Again. I always know it's you passing me because you are uttering "Lord help me" as you blaze past me. I tried to leave a comment yesterday and it just disappeared when I tried to post so I figured because censorship, but then I remembered I'm cursed when it comes to technology so I decided to try again. First off the essential oils were not my choice, I was massage assaulted with them and didn't have time to wash them off, OK? Second, slightly more serious, I'm all the way proud of you. Seriously it's inspiring. I struggle with exercise and eating right and when I do workout I always feel like I'm about to die. Just last night I walked out of a bootcamp class half way through because I got to the point where trying to finish meant vomiting, crying, and or passing out and I wasn't willing to do any of those things in public, so I just left. I cried when I got home because I felt like a failure. Then I reminded myself of this post I wrote over a year ago and I got up off the couch and did my best to finish the workout in my home gym by myself. Anything is possible, even half Ironmans. I hope to see you race in Kona some day.